By contrast, the majority of your social media followers are not buying from you. That’s not to say social media isn’t important and that you shouldn’t be using it. First, a person has to know a brand exists before taking action and making a purchase. That’s why platforms like Instagram are great for building brand recognition. These mediums are a means for your “foot in the door” where you can offer a higher level of future engagement. We absolutely encourage promoting, interacting and selling via social media. Meanwhile, we’ll tell you without hesitation that email marketing can be faster, foster a one-on-one relationship more efficiently and turn your investment dollars into sales faster. On average, marketing emails have a click-through rate of 3.57%. Meanwhile, on Facebook, paid ad campaigns and targeted posts possess a 0.07% click-through rate. Let’s put this in perspective; If you have an audience of 100,000 people in email and 100,000 in social media you can reasonably expect 70 clicks when you author a new social media post. By sharing the exact same information with your well-maintained email list of 100,000 people, you can reasonably expect 3,570 clicks. Social media is so much easier though, and we can create interaction on demand, right? Of course. You’ll only need to author 51 social media posts to match the interaction of a single email to your segmented and well-maintained email list! Roughly 60% of companies and internet marketers believe email marketing outperforms social media in terms of ROI. According to a recent study conducted by OptinMonster in 2018, email continues to be the most widely used channel with 2.6 billion users worldwide with diverse demographics. The best way to understand the potential reach of email marketing is to take a look at our own habits. Every morning, we extend a weary hand to the bedside table. We reach for our phones to turn off the blaring alarm and then proceed to check our inboxes to make sure the boss hasn’t sent us an urgent message while we’re busy pressing the snooze button. Perhaps, we indulge in a little Insta scrolling and retweet our favorite comedian or politician, but most of us greet each new day with a trip to our email inboxes because that’s where the important stuff lives. 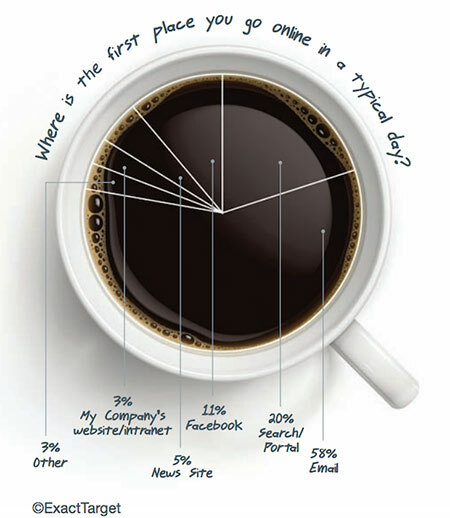 In fact, 58% of people check their email first before meandering over to Facebook to watch cute cat vids, conducting a Google search on where to find the best cup of coffee in town, or checking the weather. See the potential here? It’s important to understand the purpose behind each platform you’re using as a business and determine which avenue is best for promoting/selling. People use social media primarily to communicate, find entertainment, and connect with others. They’re usually not looking to be bombarded with sales promotions, they’re watching a funny video or stalking an ex. You can get a little pushier when it comes to email marketing. People are generally more receptive and inclined to check out your business’s promotions when it comes in the form of an email. That’s not to say you can’t sell on social media. It’s just a different realm. You need adopt a certain language and advertising style when promoting something on Facebook or Instagram. It’s one that takes a bit more creativity and flair. Social media and email marketing are two completely different animals. While social media is great for engaging with your audience, email marketing is generally more efficient in direct conversions and generating more traffic to your business. Acquiring 3,000 followers on social media is not the same as gaining 3,000 email subscribers. When it comes to increasing growth and generating more brand recognition, both social media and email marketing play an important role. However, email marketing might be the most efficient way to drive sales. 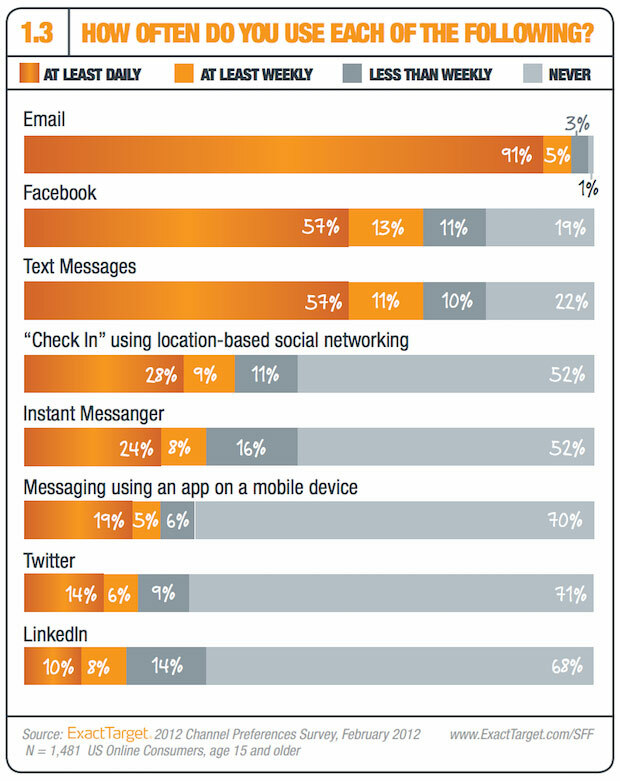 Social media in spite of its appearance is by far a more passive communication medium than email. Statistically anyhow. How would you like to master the art of email marketing in as little as ten days? We’re not offering “swipe copy” that thousands of others are using like a book of Adlibs. You’ll learn how to leverage the power of email marketing for your business, and produce engaging emails that scream to be opened (before your audience checks Instagram or Facebook in the morning). We’ll provide you with TWO 5-star digital marketing certification courses (with an actual certificate), and provide you with a 30-minute consult with one of our experts to review and fine-tune YOUR plan as it applies to your business. Your cost is only $695.00.